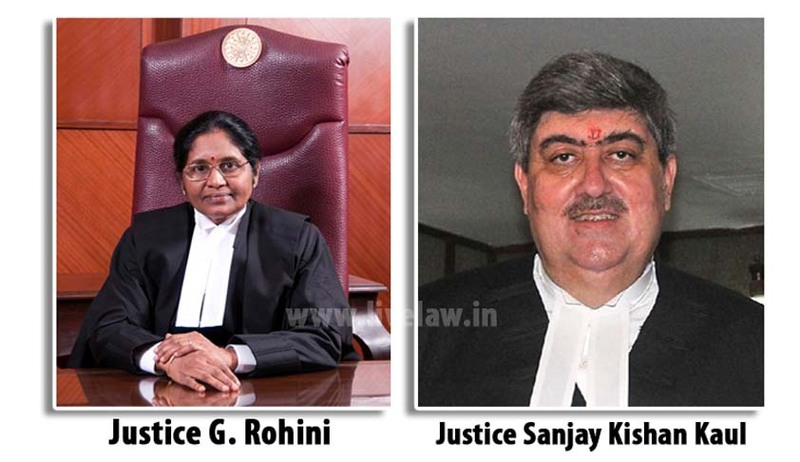 According to reports, the collegium has paved way for appointment of the Chief Justice of Delhi High Court, Justice G. Rohini and Madras High Court, Justice Sanjay Kishan Kaul to be elevated to the Supreme Court. Further, if Justice Sanjay Kishan Kaul is elevated to the apex Court, he may become Chief Justice of India. The appointment will make Justice G. Rohini as the second sitting woman Judge in the Supreme Court after Justice B. Banumathi. The recommendation awaits the President’s approval now.